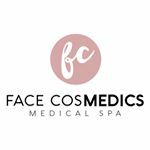 We are the only boutique medical Aesthetic Clinic in Fort McMurray. We know everyone by name, and treat them like family. Our Nurse practitioner Leonie is highly sought after for her lip augmentations, clientele travel to see her.